Bull. Torrey Club 68:419 f. 8.1941. Type: Clover & Jotter 2398, mouth of Forbidding Canyon in Glen Canyon, above Lee´s Ferry, canyon of the Colorado. Abudant 20 mi above Moki Creek and fairly common at intervals along the lower San Juan River (MICH, holotype; US 234602, isotype). 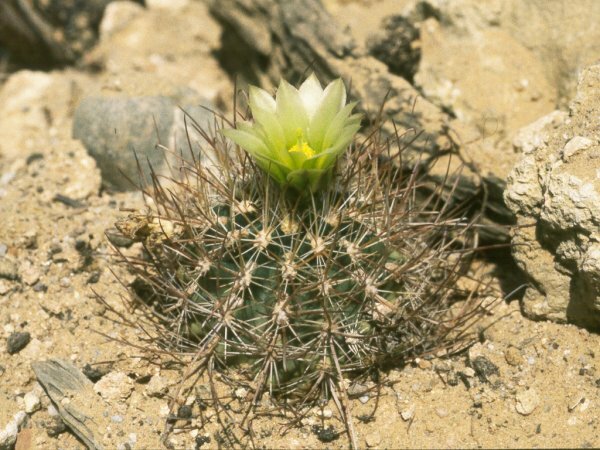 Sclerocactus intermedius Peebles, Leafl. West. Bot.5:191, 1949. Echinocactus parviflorus (Clover & Jotter) L. Benson, Cacti of Arizona, ed. 2, 102, 1950. 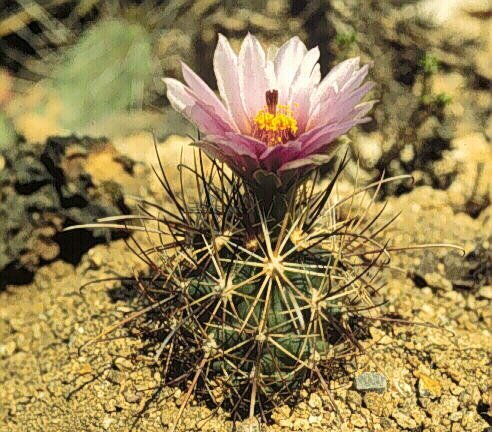 Sclerocactus whipplei (Engelmann & Bigelow) Britton & Rose var. intermedius (Peebles) L. Benson Cact. & Succt. J. (US) 48 (3):138-139, 1976. Sclerocactus parviflorus Clover & Jotter var. intermedius (Peebles) Woodruff & L. Benson Cact. & Succt, J. (US) 48 (3):133, 1976. Sclerocactus contortus Heil Cact. & Succt. J. (US) 51:25-30, 1979. 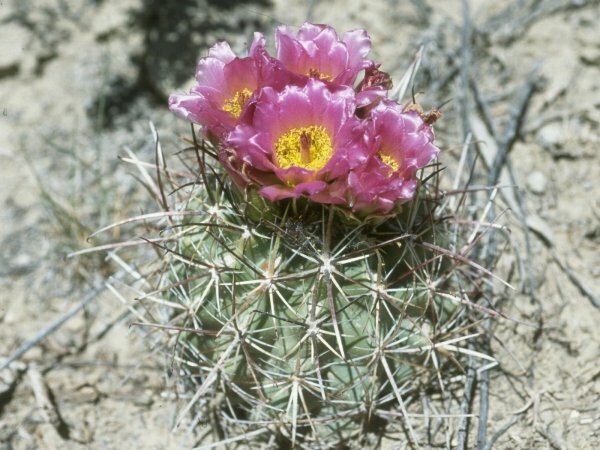 Sclerocactus parviflorus Clover & Jotter var. blessingiae Earle Saguaroland Bull. 34 (3): 29, 1980. Sclerocactus parviflorus Clover & Jotter subsp. intermedius (Peebles) Heil & Porter Haseltonia, 2. 20-46, 1994. 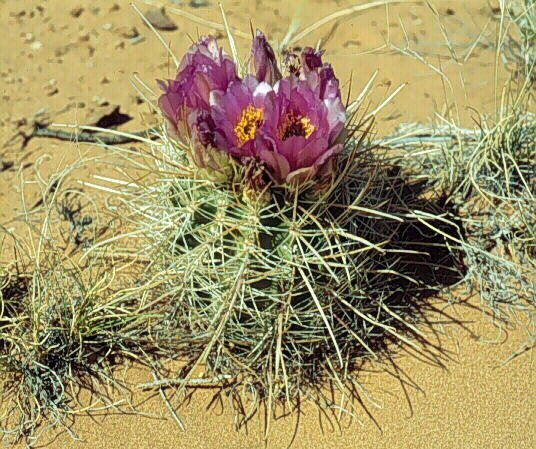 L. Benson included Sclerocactus parviflorus Clover & Jotter, as var. roseus (Clover) L. Benson 1966, under Sclerocactus whipplei, but later gave up this view. fh 59.2, Laguna Creek, 1,800m. fh 29.4, Mesa Co., 1,400m. fh 69.1.4.1, The Weedge, 1,700m.